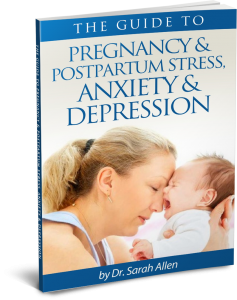 Having a baby, whether your first or one of many, can be a major life stress. Are you pregnant and wondering what life will be like when this new baby arrives? Have you recently had your first baby and are finding that motherhood is different from how you expected it to be? Feeling overwhelmed by the responsibility of a new life totally reliant on you? Pregnant with your second and worried how your first born will adapt and how will you cope with two? Feeling that your relationships with your partner, family and friends has brought changes and all the changes the baby has brought to your family? Come and meet other moms who feel the same way! This workshop provides a safe and non-judgmental way to discuss the demands of motherhood and how your life and relationships have or will change. We often lose sight of our own needs when we are a mom and as well as looking at the challenges parenting brings, we will talk about ways you can look after yourself emotionally so you have the emotional reserves to look after your family. It is appropriate for both first-time and more experienced moms. I feel passionate about helping women feel supported when they journey through motherhood and I have made it my mission for the past 20+ years. 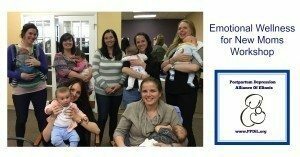 I run this workshop in my role as Director of the Postpartum Depression Alliance of IL so I want to share a little bit about the Alliance and also my experience. Women can feel very isolated when they get home from the hospital with a new baby and it can be hard to meet other new moms or have an opportunity to discuss the day-to-day challenges of parenting. For many, feelings of anxiousness and /or sadness last longer than the couple of weeks we call the “baby blues”. If you are feeling unsure or overwhelmed or just want to talk with other new moms, this workshop is for you. If we have spoken on the phone you would have realized from my accent that I am from England. 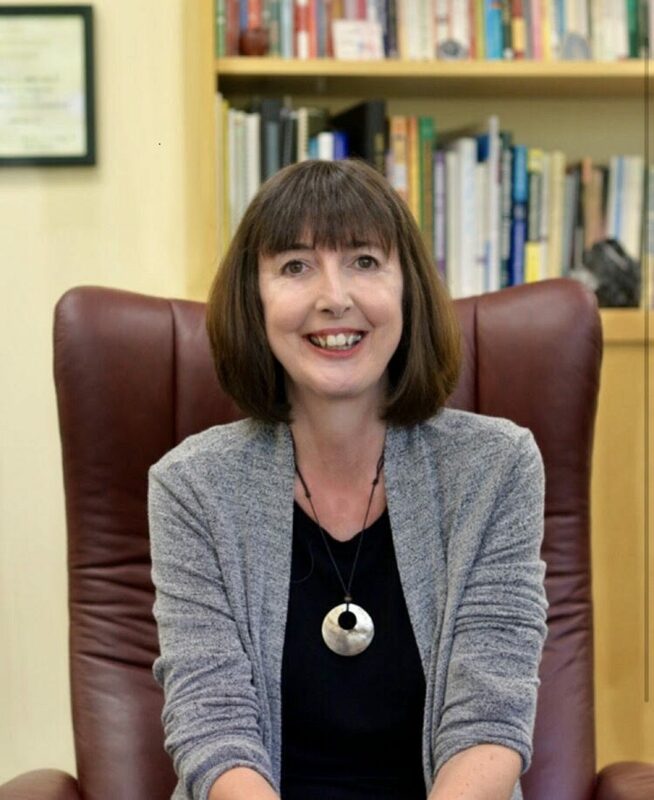 When I did my doctoral thesis there I researched postpartum depression and also the impact of traumatic birth experiences. During that time I was attached to the maternity wards of a large city hospital and I worked with many new moms. I naturally carried on doing the same work here when I set up a practice in Northbrook 19 years ago because that is what I love to do. After being in the US a while though I saw that there was huge lack of the type of services I was providing so 18 years ago I founded the Postpartum Depression Alliance of Illinois and with of help of wonderful volunteers, we provide support to pregnant and new moms from all over Illinois and help them find resources. 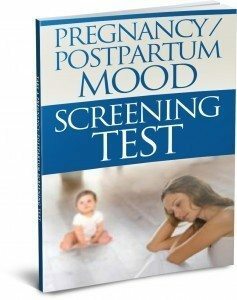 I have also worked with the Governor to get May proclaimed as PPD Awareness Month in Illinois and with hospitals to provide screening and education about perinatal mood disorders. The more general awareness there is about how common pregnancy & postpartum mood disorders are, the more women feel comfortable asking for help. You don’t need to reach the point where you are feeling depressed to get help though, prevention is very important. I believe all moms need and deserve support and this is why I run this free workshop for new moms. I hope you’ll join me for the next workshop.